Posted on Thursday, November 3rd, 2011 at 19:04. We just returned from a wonderful pilgrimage in Italy where we went with many intentions, but primarily to give thanks to Saint Pio of Pietrelcina for a donation we received that has helped us to get through these difficult financial times. During our trip, there were many signs that Padre Pio was watching over us. We carried all you ITI students, faculty, staff, alumni, friends and benefactors in our hearts and in our prayers to each shrine. We began the long trip from Trumau on Friday night and “slept” on the bus. The bus was full of students, faculty, staff and families. The kids gave the right spirit of joy and enthusiasm. I am always amazed at their willingness and trust. You say to a child…”Do you want to go in the car?” “Yes!” they gleefully reply, and they don’t even know where you are going, for how long, or what it will entail. I wish we could be that way with God’s plans for our life. Accepting things with humility and joy. In a way, that is how our pilgrimage turned out. We knew something of what lay ahead, but not everything, and had to humbly say, “yes!” to whatever was in store, and God had many beautiful things in mind that gave us a joyful heart. 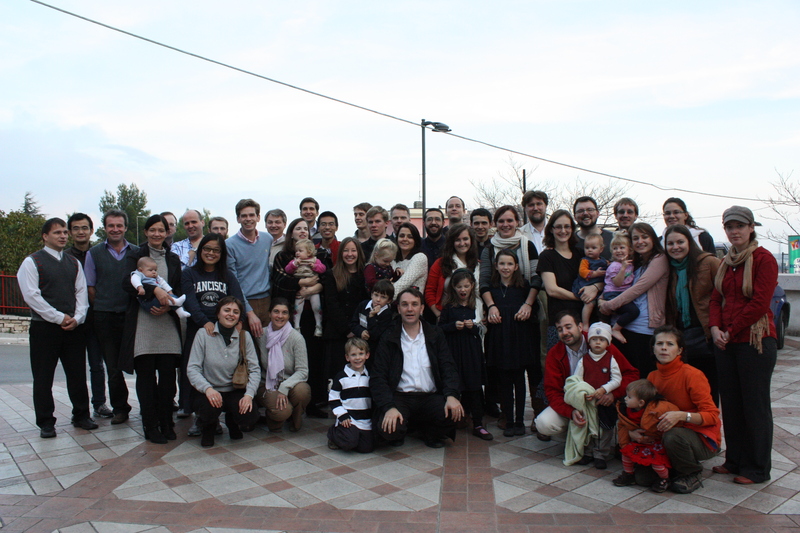 Our first stop was Loreto where the house of the Holy family was carried by angels to preserve it. 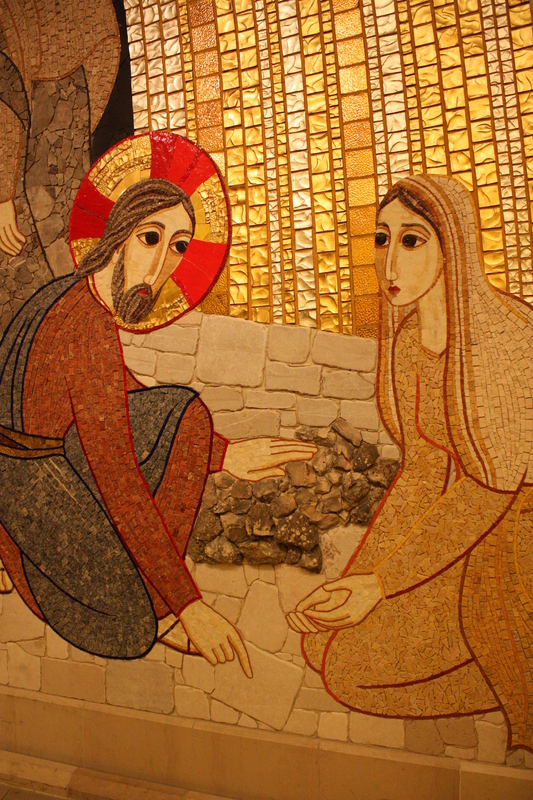 Padre Pio said that Our Lady only appeared in other places, but here she still walks. We attended Mass at the shrine and prayed in the Holy House that welcomes you with an embracing peace. Next stop was Cascia, where we were able to visit St. Rita and the lovely city that was glowing with sun and exploding with fall colors. 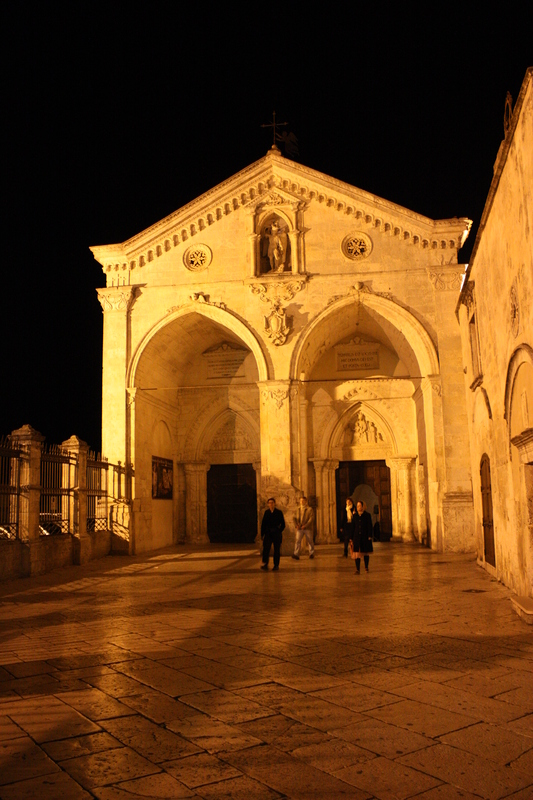 We then travelled to Norcia to see our dear friends and alumni among the Benedictine monks there, and to sleep there for the night. 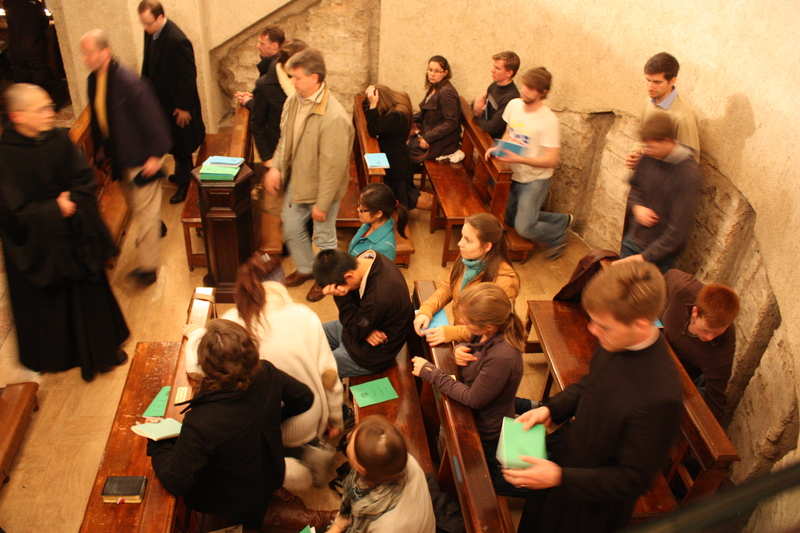 After praying in the crypt that houses the birthplace of twins, Sts. Benedict and Scholastica, we explored the town for a bite of their famous Norcia wild boar ham and salami. After early Mass in the crypt on Sunday, we drove to Lanciano, home of a Eucharistic miracle and resting place of St. Longinus, the Roman soldier who pierced Christ’s side with a lance. Even though the place was about to close when we arrived, they let us in and told us to close the door when we left. So we had our own quiet special time to spend there with Our Lord. In a church across the street, we discovered the relics of St. Pantaleone, doctor and martyr. As the sun set, we climbed high into the hills and then deep into a cave to see the church of St. Michael the Archangel at Monte Sant’Angelo. 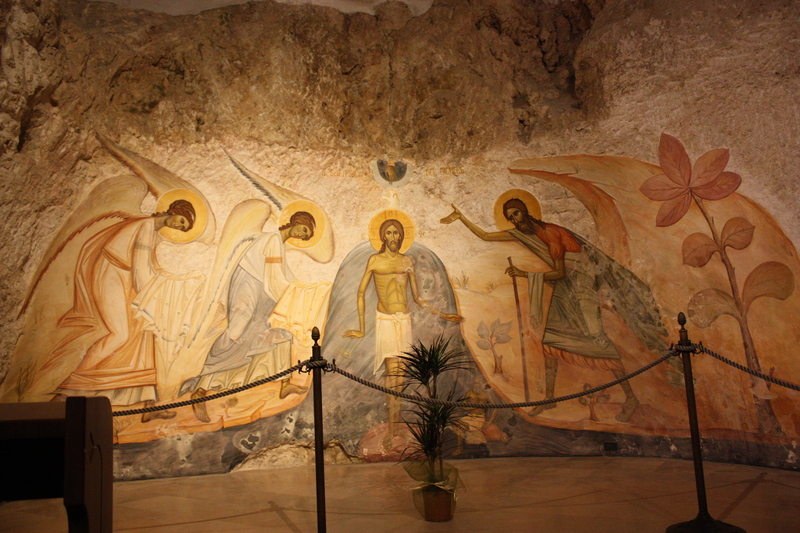 St. Michael appeared here and many saints have visited to ask his intercession in the battle against evil. We curled further into the mounains and reached San Giovanni Rotundo where we lodged for two nights. Here we found another gift from Padre Pio. Our hotel upgraded the whole group! The Hotel is called Pace, V7. V stands for the family name and 7 for the children of the family. Padre Pio told the father of the family to buy land and build a hotel there. They did not have the money at the time, but did so, and the money came for the building. 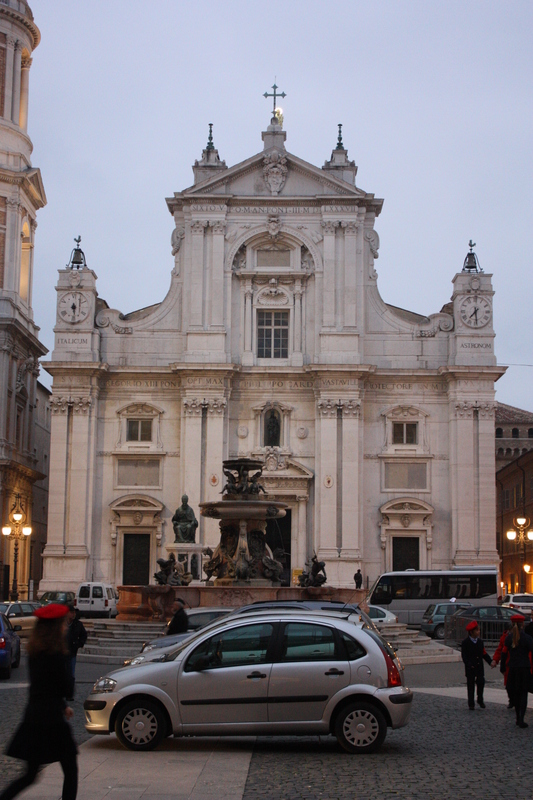 home, and drove to Bari to see St. Nicholas. We were supposed to have Mass at noon, but traffic in the city made us an hour late. But this was turned into another gift! 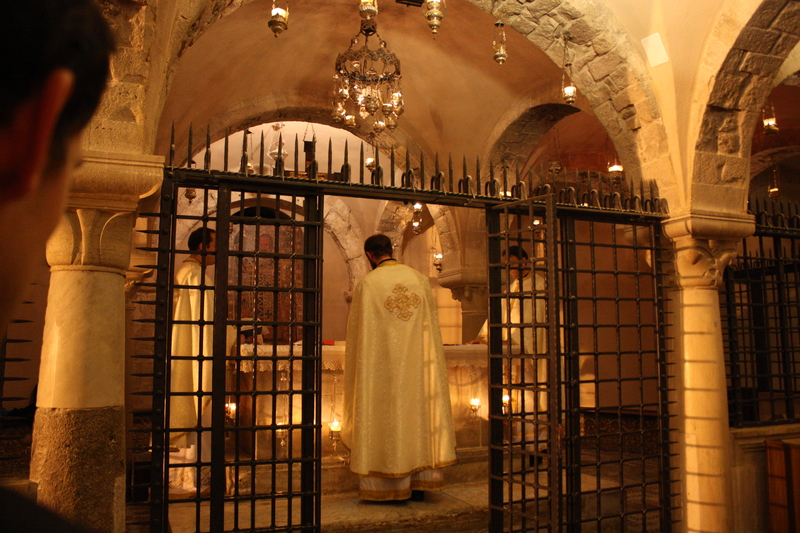 Because we were late, we were allowed to celebrate Divine Liturgy in the crypt of St. Nicholas, over his relics, instead of at the main altar. Normally, you cannot approach the relics, as there is a big gate surrounding them. 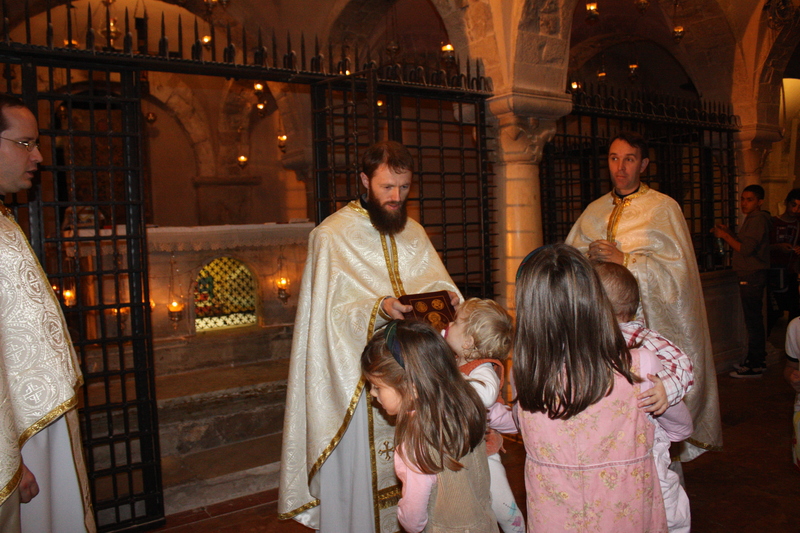 Because we were allowed to have Divine Liturgy there, we were all allowed to venerate the relics of St. Nicholas. After lunch and photos by the sea, we made a short stop at the tomb of Luisa Piccarreta a servant of God, and then returned to San Giovanni Rotundo where we explored the surroundings, and happened upon a choir concert of different Ave Marias in the new big basilica. The architecture there by Renzo Piano caused a huge discussion about art, architecture and sacred space which continued into the late hours in the hotel lobby. 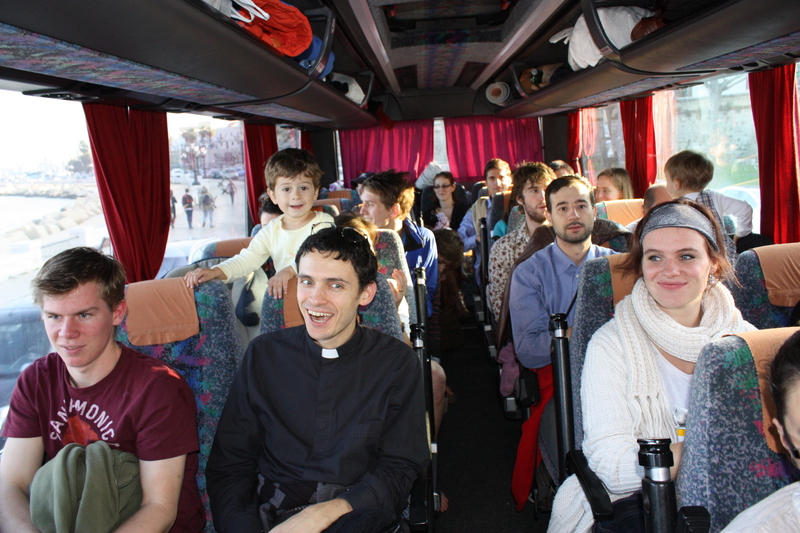 On our final day of the pilgrimage we brought our thanks and petitions and yours to Padre Pio. 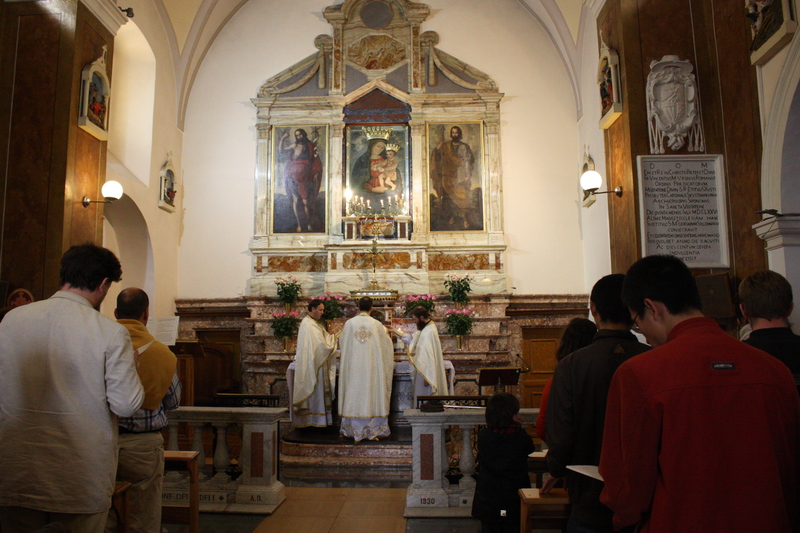 We were allowed the honor of having Divine Liturgy at the same altar that Padre Pio would celebrate at daily. 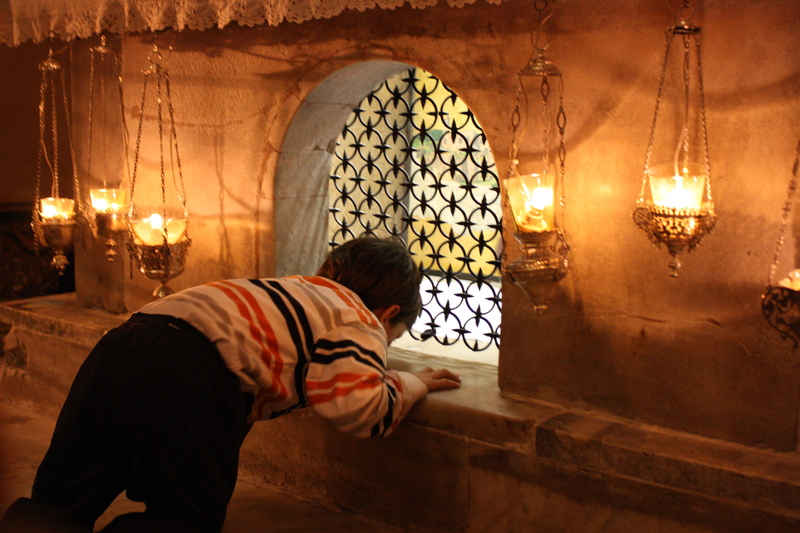 Then we visited his tomb and venerated his relics and toured the mosaics by Fr. Marko Rupnik. We started the 18 hour return bus journey with full hearts. Thank you Padre Pio and all the great saints we visited on this trip for your many blessings!